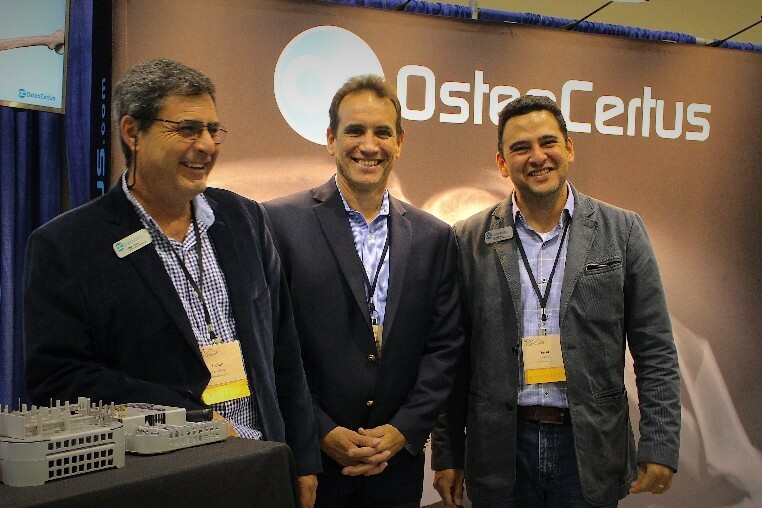 OsteoCertus was founded by an experienced veterinary surgeon and two accomplished engineers in medical device development, including orthopedic implants. The singular purpose of OsteoCertus is to develop products to solve the most pressing problems of veterinary surgery. With over 30 years of medical device engineering and management experience, as well as a decade of successful startup experience, Javier Castaneda has incorporated his extensive knowledge of business and orthopaedic plating design into OsteoCertus. He is an inventor on 65 U.S. patents, with more pending, and currently focuses on creating products which are not only uniquely beneficial for patients, but also minimizes the inventory and cost burden for hospitals, surgery centers, and surgeons. Cesar has over 15 years of medical device product development experience and in addition to OsteoCertus, has founded Silces Engineering, Inc., a 3D technical medical animation company. With his creativity and Masters degree in Mechanical Engineering from Florida International University, Cesar ensures OsteoCertus is at the forefront of technology and design for the veterinary market. For the past 13 years, David has dedicated himself to performing orthopaedic surgery for small companion animals, and is an active member of AOVET and VEPA Colombia. David focuses on the clinical application for OsteoCertus devices, ensuring that implant and instrument designs are effective, safe, and beneficial for both patients and surgeons. Priya Prasad has over 15 years of experience in the medical device industry, with pivotal roles in engineering, project/team management, marketing and sales. She has worked with various companies to create and successfully implement development and marketing portfolio strategies. Priya obtained her Masters Degree in Biomedical Engineering at the University of Florida with the intention of applying her passion, knowledge, and expertise toward advancing patient care worldwide. Beatriz is a veterinarian with 13 years of experience in small animals. She has worked in the administrative area of veterinary clinics and in sales for Veterinary Pharmaceutical Industries. She is an active member of VEPA Colombia. Currently manages marketing and sales for OsteoCertus in Latin America.